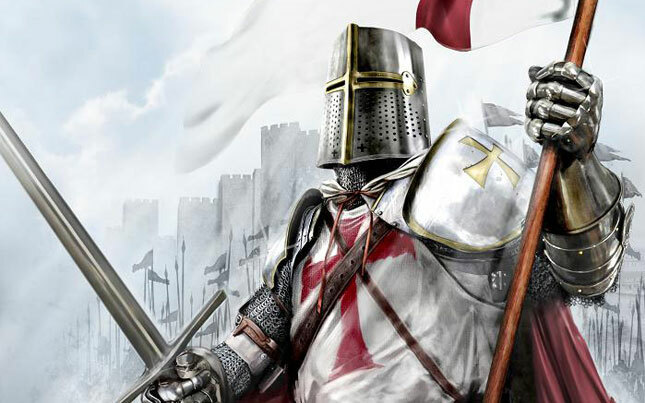 At its peak the Templar Order had around 20,000 members. The grand master was the leader, with a deputy known as the seneschal. The marshal would be in charge of individual commanders and equipment, and then there was the main fighting force comprised of knights and sergeants. The Templars are considered the forerunners of the modern bank, as when men joined the Templars they had to give all their wealth and land to the order. This quickly made the Templars incredibly rich, and they set up a banking system to manage this. The Templars funded building projects all across Europe and the Holy Land; many of these buildings are still standing, such as Temple Church in London where initiation ceremonies occurred and the Convent of Christ Castle in Portugal, a famous stronghold of the order. The seal of the Templars is two knights on a horse. This represented the poverty of the early members and legend has it that the first grand master had to share a horse with one of the founders. The famous white mantle worn by the Templars was a sign of the vow of chastity taken by the members. Married men were allowed to join the Templars with their wife’s permission, but they were forbidden from wearing the mantle. To discover more about the mysterious Knights Templar, pick up All About History issue 20 now!